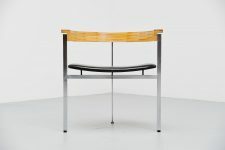 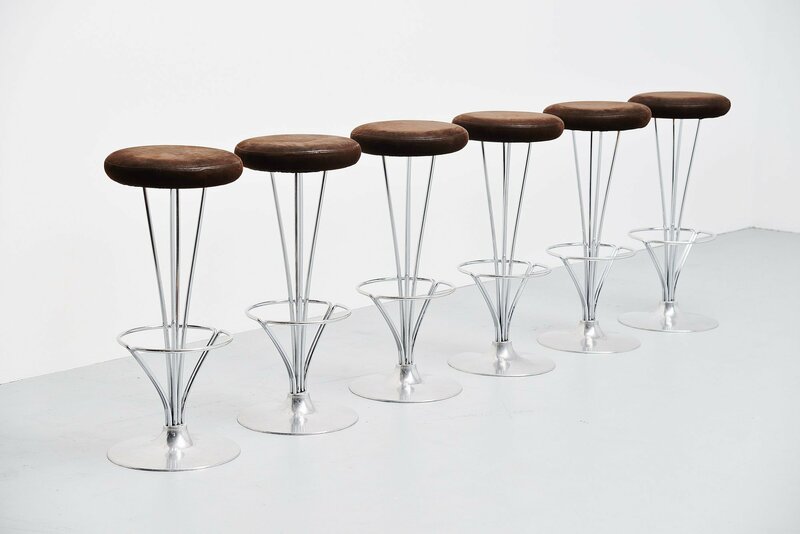 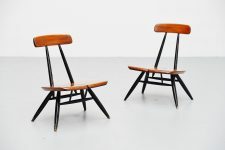 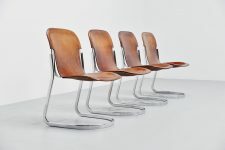 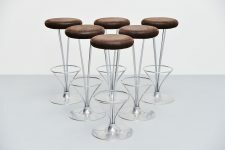 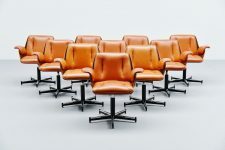 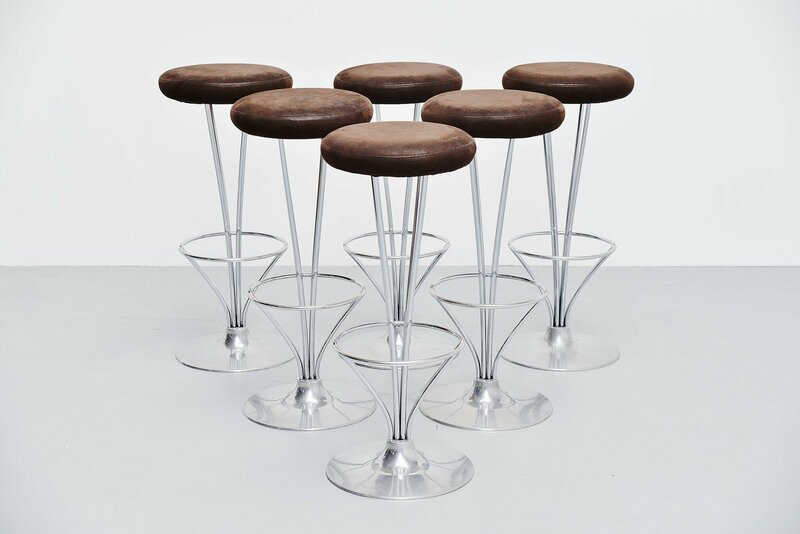 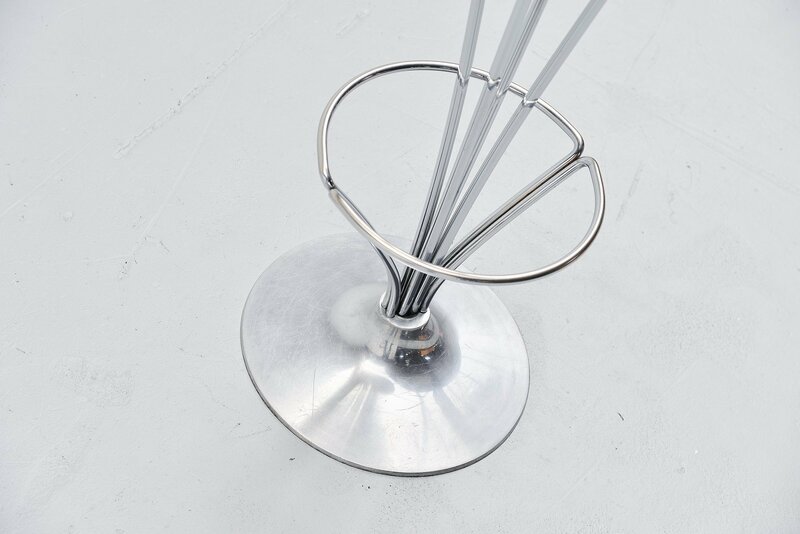 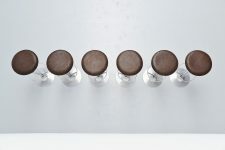 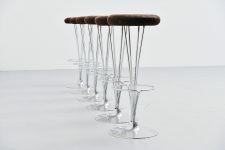 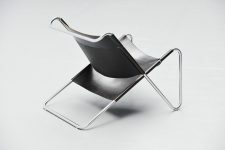 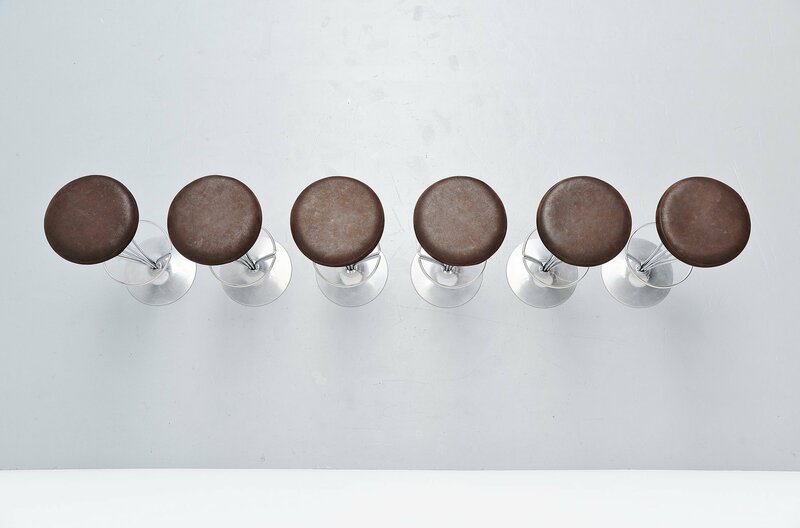 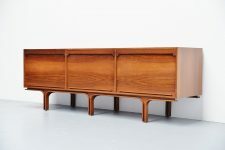 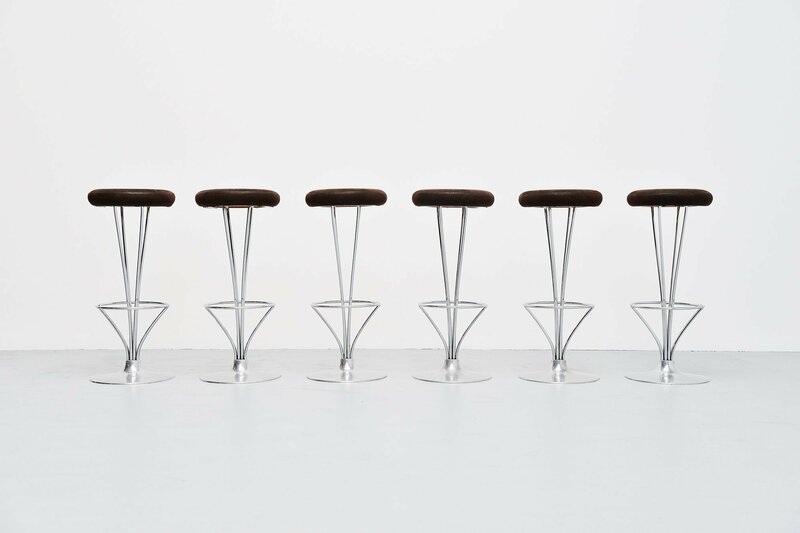 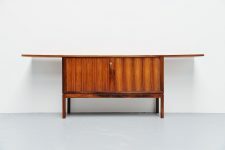 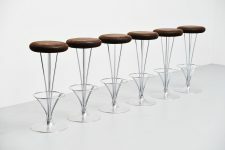 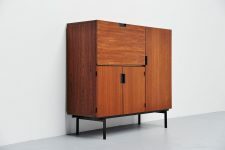 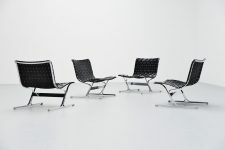 This is for a very nice set of 6 bar stools, designed by Piet Hein for Fritz Hansen, Denmark 1965. 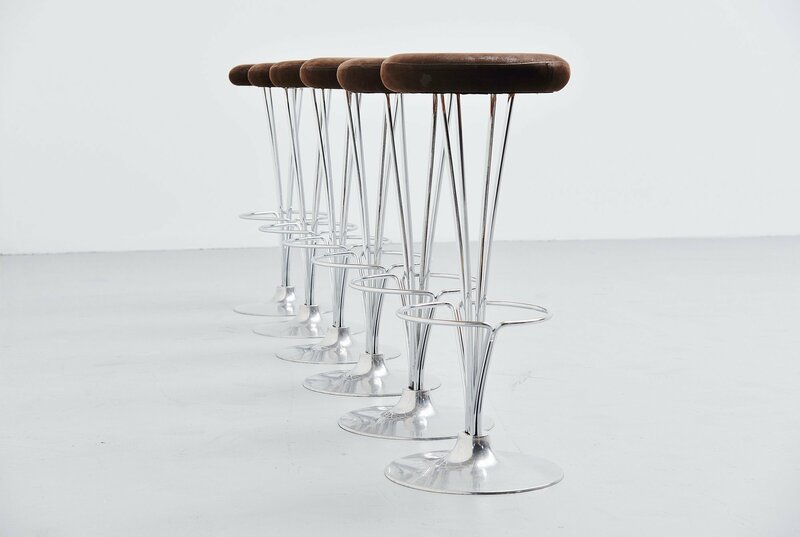 These stools have chrome plated frames and a brushed aluminum base. 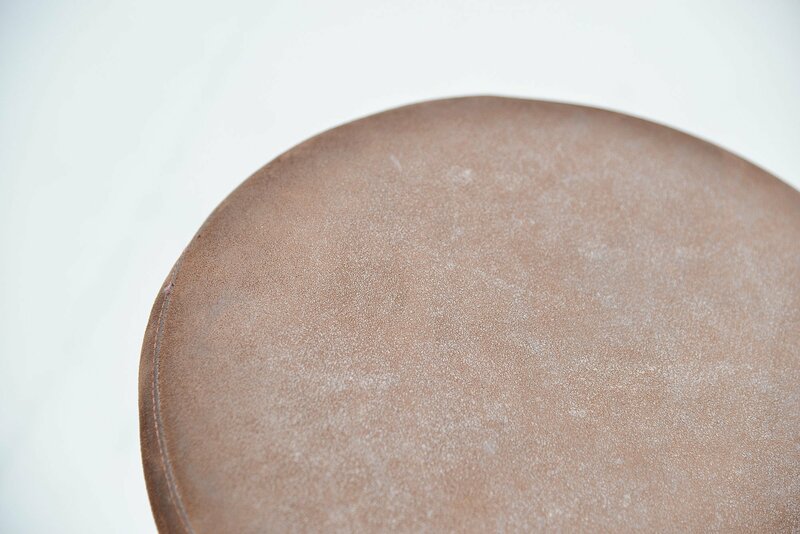 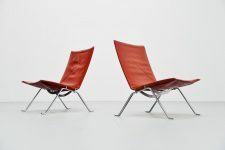 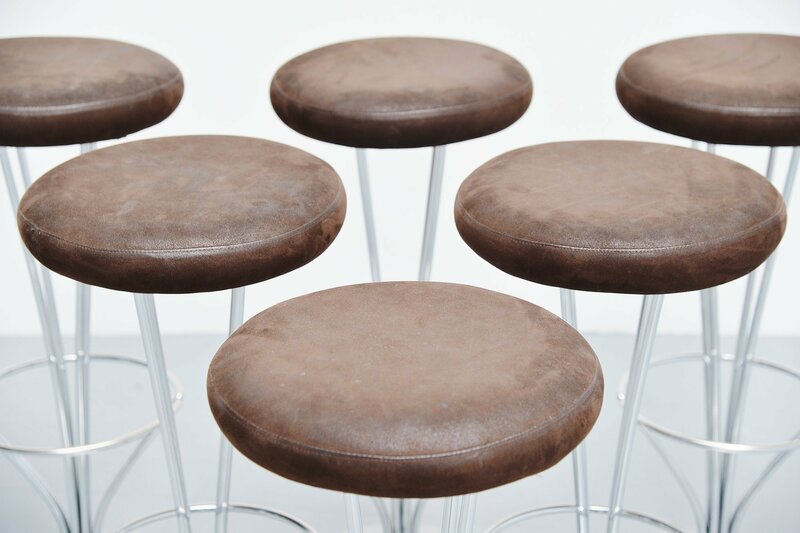 These are upholstered in brown suede and it has a nice patina from age and usage. 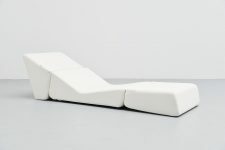 Very nice stools with comfort seating pleasure. 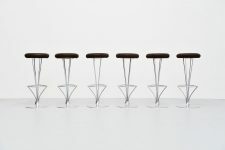 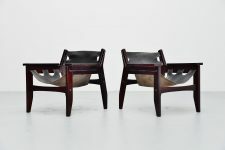 These stools could fit any modern design home or interior. 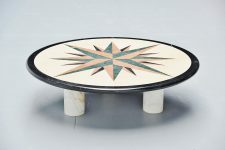 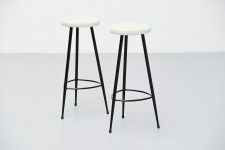 We have severa of these stools in stock with different upholstery.